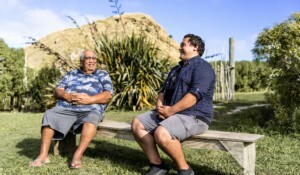 “Waimārama is so much more than a seaside resort,” says Robert MacDonald, kaumātua of Ngāti Kahungunu (tribe) and Ngāti Kurukuru (sub-tribe), the tangata whenua of Waimārama. 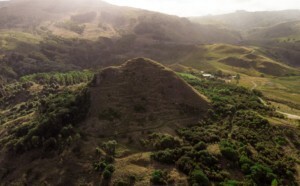 Of particular significance is Hakikino, a limestone hill and ancient pā site on the family farm in the coastal hills – a 14th century site that has been extensively surveyed by archaeologists providing evidence that some 5,000 members of the Rangitāne tribe lived in the area in that century. 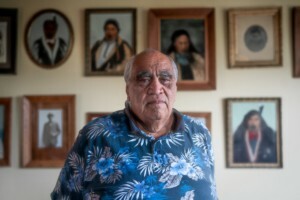 MacDonald’s vision has long been that Hakikino be known about and understood by as many people as possible in order to keep it safe and intact. His first priority has been to gather and maintain the knowledge for the young members of his whānau who are by now quite dispersed and disconnected due to the necessity of going elsewhere for education and employment. Ten years ago Waimārama Māori Tours was established, a venture that takes visitors out to Hakikino, either in individual or small group tours or on a 2½ hour cruise ship tour with larger groups. The tourism venture was intended primarily as the medium for creating youth employment at home, to develop work skills in tourism, hospitality and in horticulture in the native plant nursery set up to reestablish native plants on the site. Although early attempts to bring youth into the venture proved unsustainable due to the seasonal and irregular nature of the tours – something outside their control – today the young do return during the summer holidays to play their part when they are not working. For the most part, the tours are lead and supported by the older family members who work for the love of it in the interests of keeping the dream alive and in helping to fund the wider Hakikino project. While providing viable employment was a high priority, the driving motivation was and is cultural, the integrity of the Waimārama history and culture through understanding the old ways of Māori, learned at home on family land with the aunties and kaumātua, sharing the mores and values of good living, te reo Māori, while fostering a sense of identity, pride and cohesion. His mother has passed on now, but he understands her worry (spoken of many times) that as a young mother in the 1940-50s she was not allowed access to her placentas by the uncomprehending medical and midwifery staff. “Anyone who asked for it was treated with contempt,” Robert says, “it was a great sadness to my mother that the land would not know her children when, after their deaths they would be returned to the earth. Mum’s mother had taught her that by burying the placenta on their ancestral land, the land would know them, just as they knew their land. There are many such customs and spiritual practices known to him through his mother and aunties that were not openly discussed on the marae in their lifetime. Customs that were further undermined during the 20th century, largely by work-related movements of Māori away from the marae into the cities and the powerful influences of the Pākehā-dominant NZ European education. Underpinning the interpretation of how the ancestors lived has been recent research on early Polynesian migrations and Māori settlement, adding to whānau and tribal oral histories, the known major historical pre-European events and the Māori tradition of whakapapa. 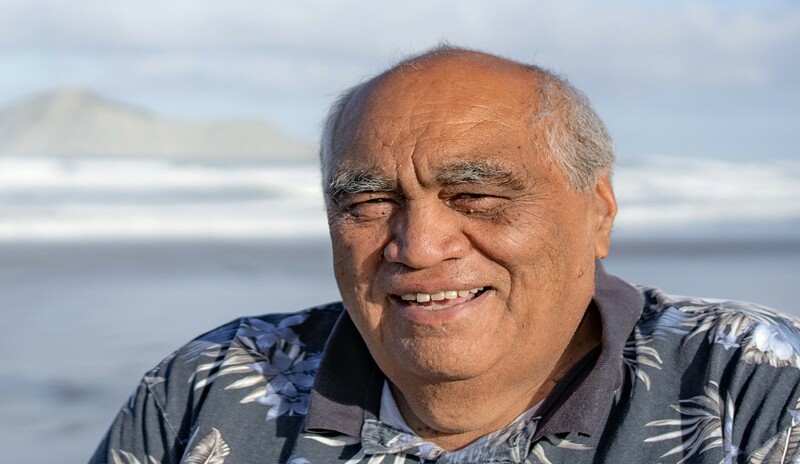 Scholars of Māori history, life and custom have long maintained a body of information on which to draw and one of those is Dr Rangi Matamoa, an expert in Māori astronomy and a Professor of Māori and Indigenous Studies at Waikato University. His research fields are Māori astronomy and star lore, Māori culture and language. 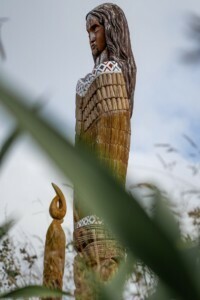 Hinengatiira, the mother of the tribe. The Arch of the Ancestors is the WMT tours cruise ship tour lasting 2½ hours, while the individual small group tours are more customized and flexible. A Walk with the Ancestors is a two-hour tour. A Day in the Life of the Māori Elder is a six-hour tour that allows for visitors’ interests and time frames to be considered. It usually starts at the 13th century Tākitimu waka arrival location on the beach at Waimārama, before heading inland to Hakikino and includes imagination-stirring historical stories, and a visit to the marae. This tour includes a visit and lunch at Robert’s family home. The stories told beneath the dramatic limestone crags touch on early Māori survival in Aotearoa, of food sources such as the long finned eel and birds, discovering plants that were nourishing or medicinal, of warfare, ancestral heroes and abductions, survival on minimum rations in winter, and the use of plants for clothing and making shelter. “You had to be very tuned to your environment. You had to understand the seasons, know the plants, some of which are poisonous at different times of the year,” says MacDonald. “There were two important things – the summers were spent gathering, growing and harvesting food to get through the winter, and knowing medicinal herbs. Hakikino, a limestone hill and ancient pā site. Then, in the 14th century, Kahungunu and his warriors travelled down the East Coast, fighting, plundering and recruiting as they went. They arrived in Northern Hawke’s Bay and established themselves at Wairoa. From there the new tribe, now named for Kahungunu himself, extended their influence into the rest of Hawke’s Bay and on into the Wairarapa. Hakikino, the heavily defended fortress at Waimārama was the site of the last major inter-tribal battle between Ngāti Kahungunu and Rangitāne. Although the Rangitāne people were well prepared within their fortress pā, they were not battle-hardened after years of peace and were overwhelmed by Kahungunu’s superior forces. The fierce battle was waged in order to capture the high-ranking Hinengatiira for marriage to one of his general’s sons, Rongomaipureora. MacDonald explains, “A high-ranking woman did not necessarily lose possession of her rights and lands. Marriage ensured that all children would inherit by right of succession.” This early colonisation merged the Rangitāne and Kahungunu tribes and peace was achieved. A few generations later the fortified site of Hakikino was abandoned.